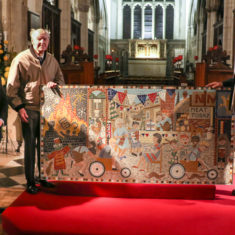 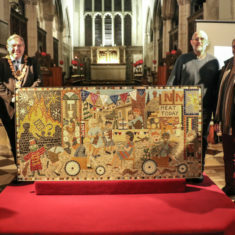 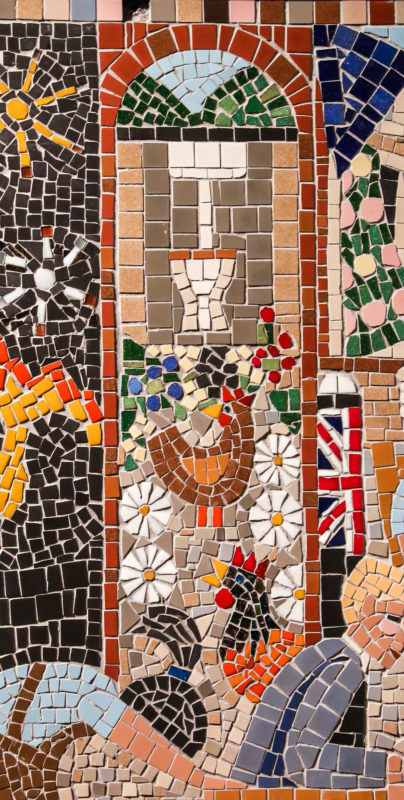 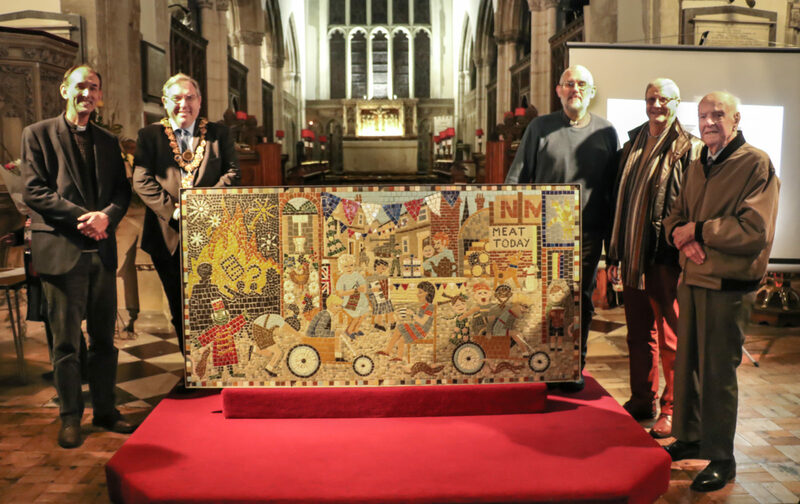 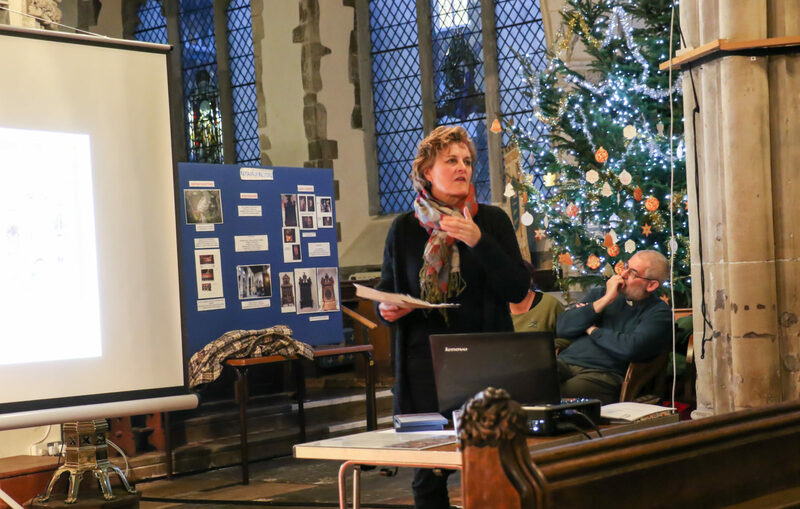 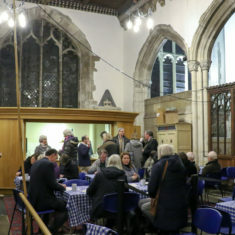 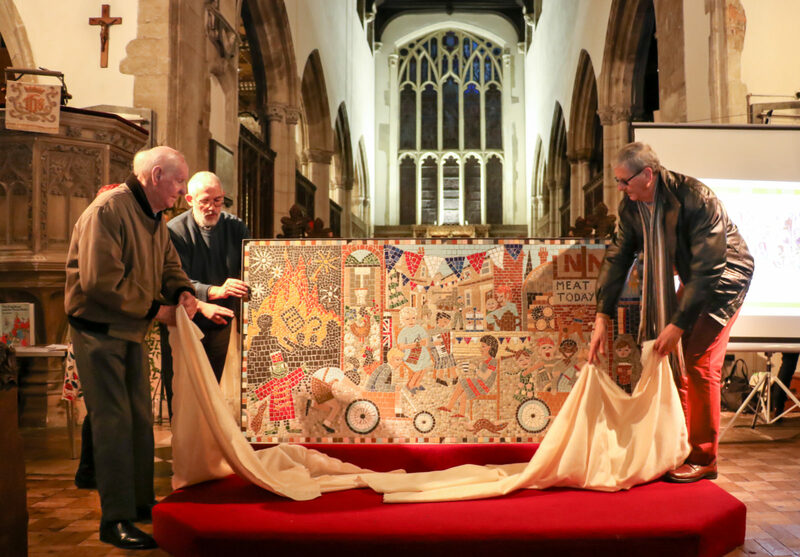 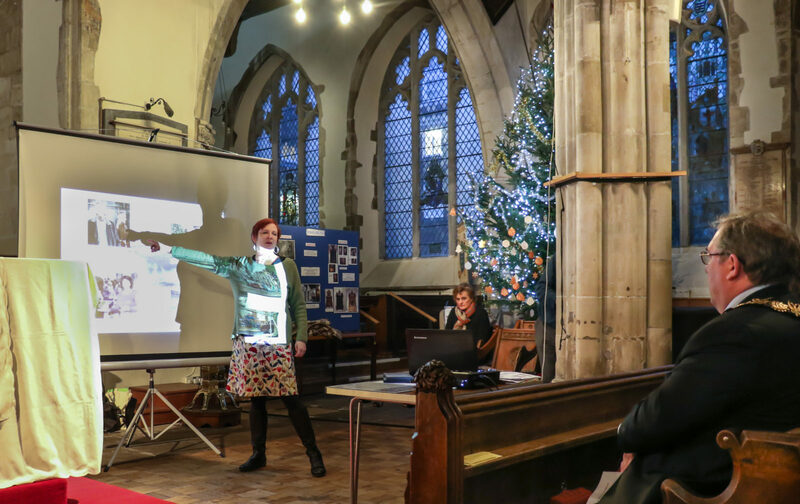 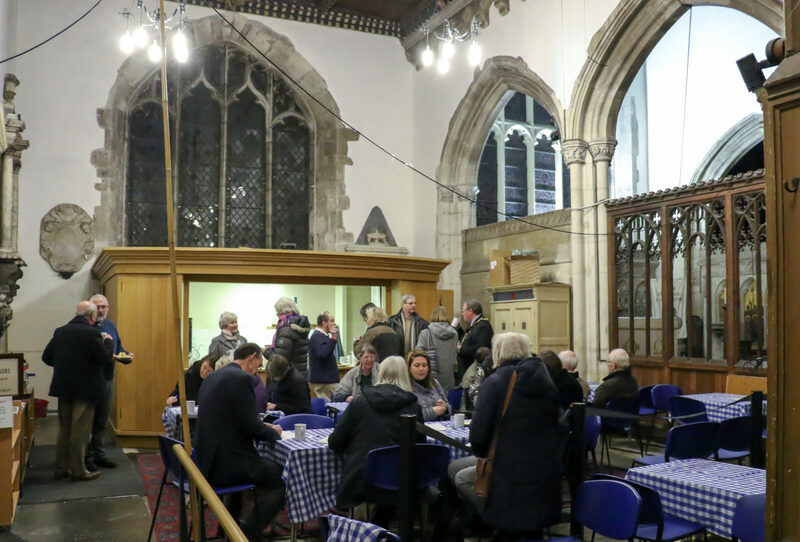 On Saturday 13th January 2018 we gathered at St Thomas’s Church to unveil and celebrate our new mosaic. 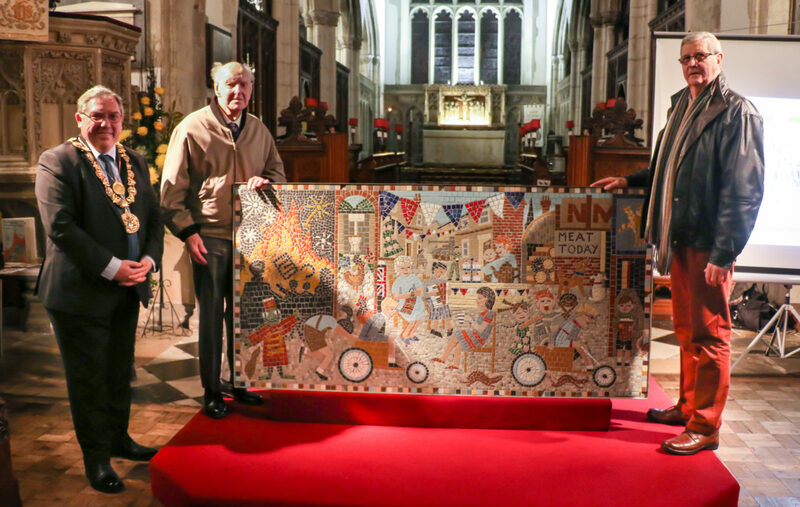 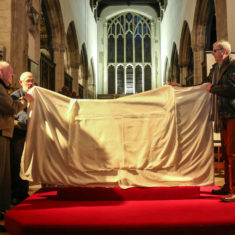 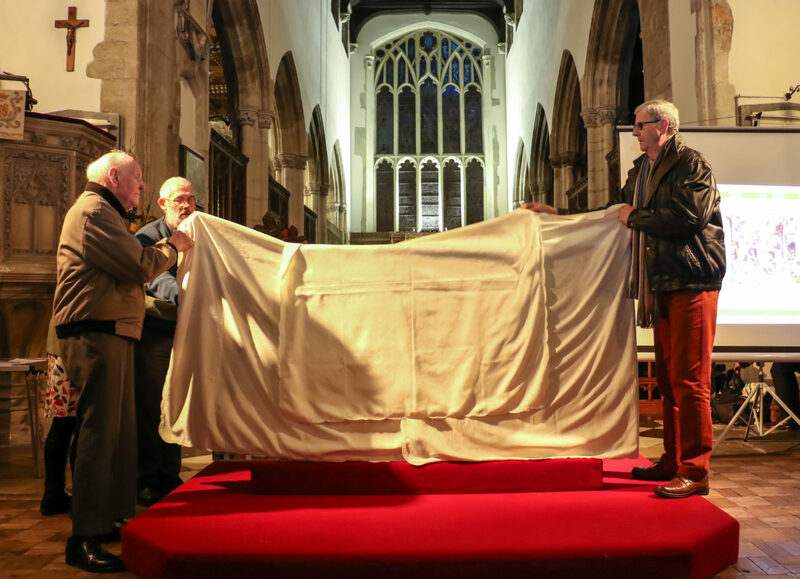 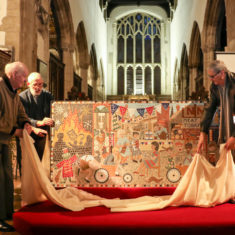 We were delighted to have Ron Holloway and Ken Edwards to do the honours with the unveiling. 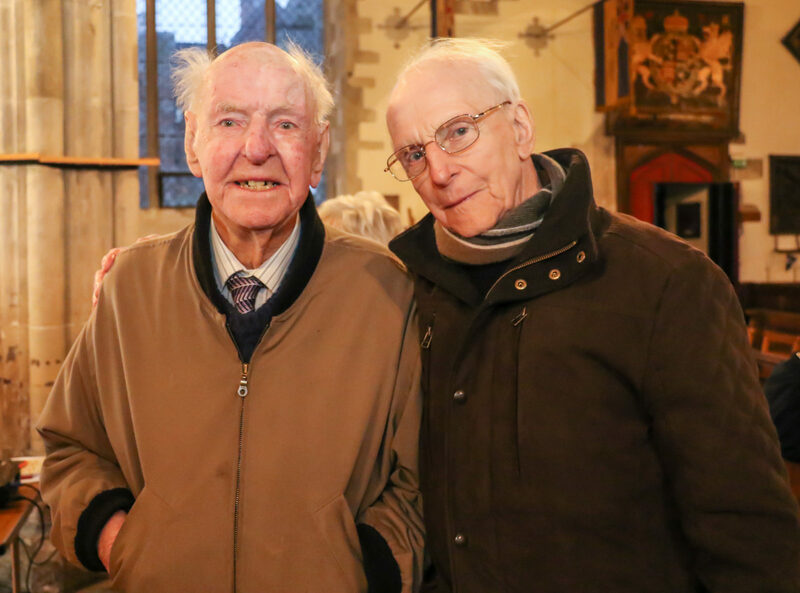 Ron is in his 96th year and has lived on Greencroft Street for over 80 years. 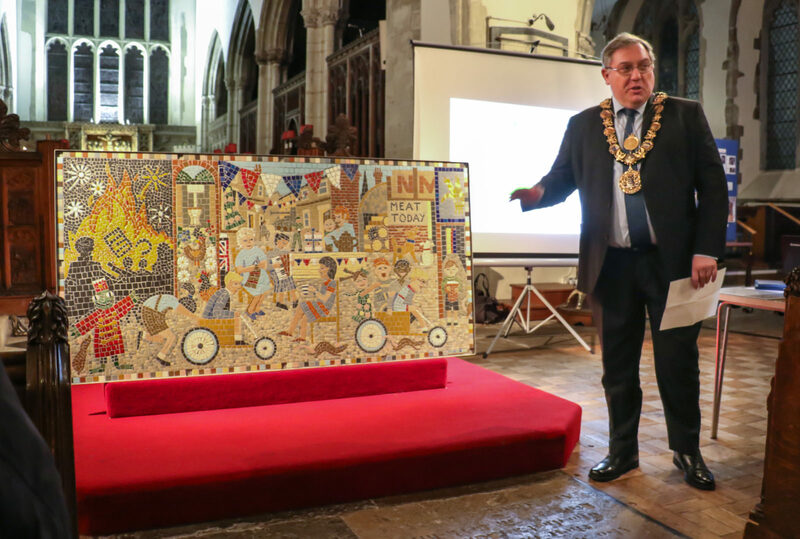 At the end of the Second World War he was delivering a tank from Bovington to Wilton, but took a detour down Greencroft Street where he parked up the tank to have a cup of tea with his Mum! 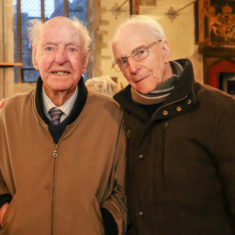 Ken Edwards grew up on Greencroft Street in the 1940s and 50s. 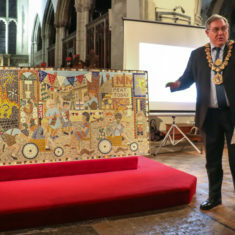 His stories about the area include being sent over to the Barley Mow pub’s “jug and bottle” on the side of the pub to buy beer. 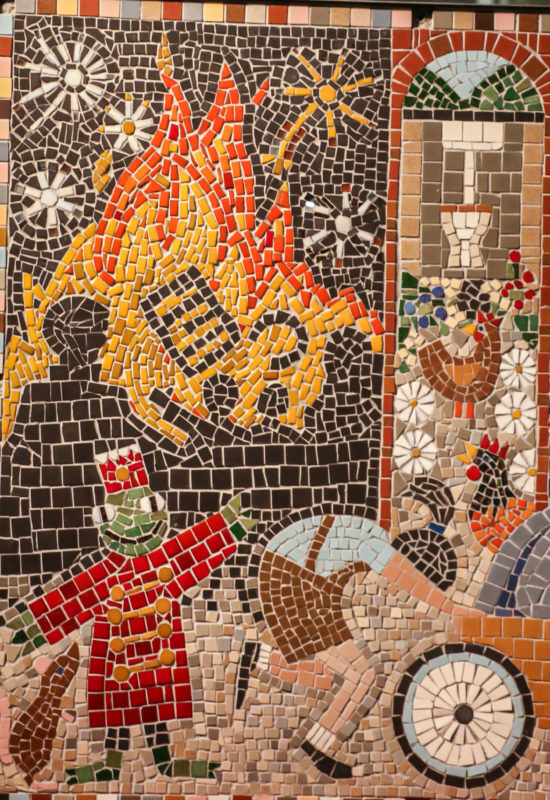 Both Ken and Ron are featured on the mosaic design. 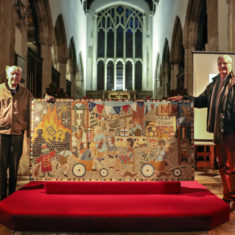 Ron Holloway (on the mosaic with his tank!) 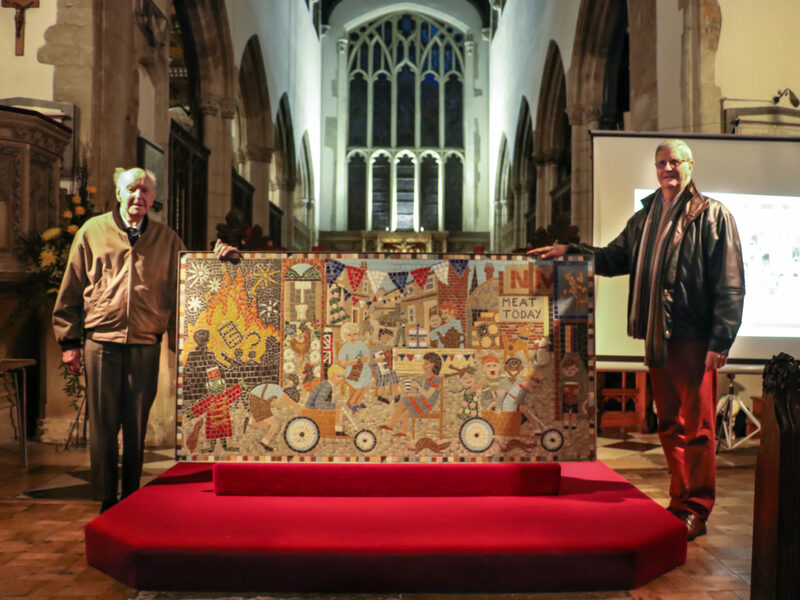 and Ken Edwards (on the mosaic with his jug of beer!) 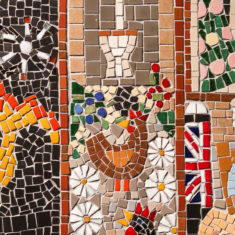 after unweiling the mosaic. 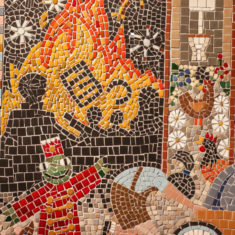 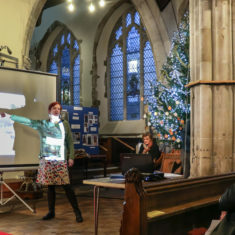 Mosaic artist Joanna Dewfall explains the design process and mosaic technique. 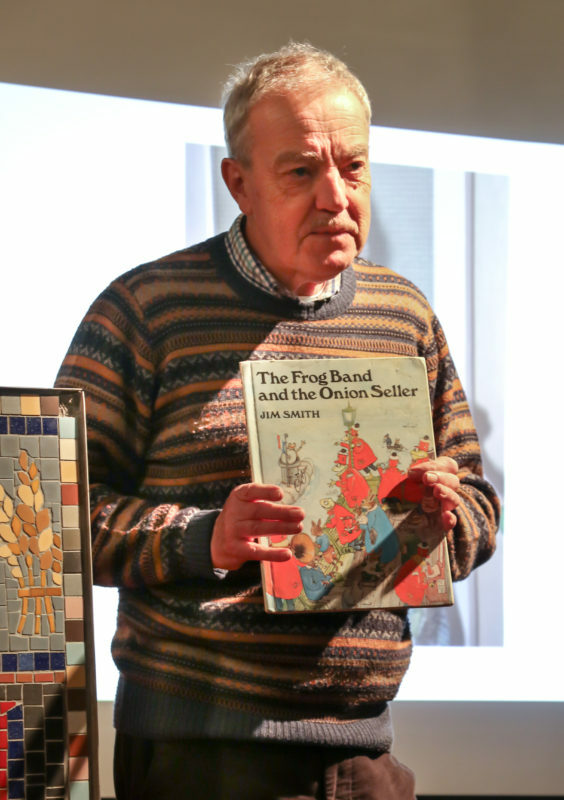 Ken Smith talks about his Dad Jim's literary career...which explains why a frog in a red jacket is on the mosaic! 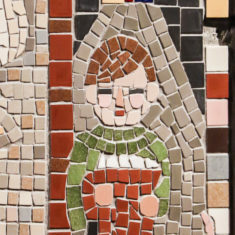 Ken as a boy getting beer from the Barley Mow pub's "jug and bottle"
The loo at the end of a typical back garden!